Day-use in all parks is free. Fees are charged for overnight camping, or to reserve day-use picnic shelters where reservations are allowed. This area is also the take-out point for the Murtaugh Reach, the popular Class IV whitewater reach of the Snake River. 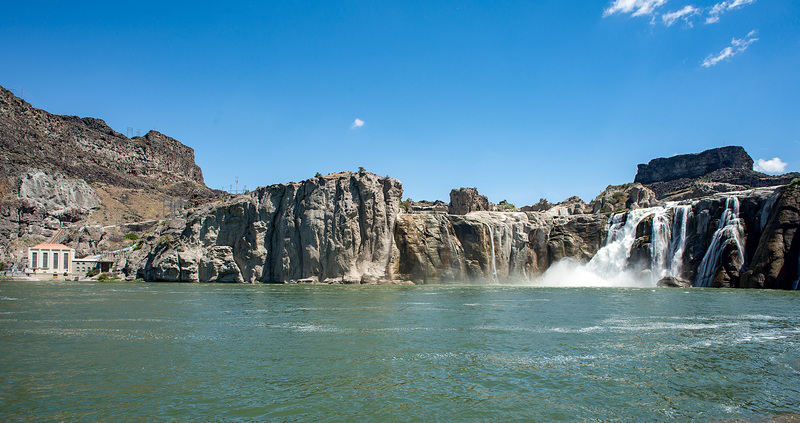 For a small per-car entry fee, visitors can picnic and relax in shaded, grassy areas while enjoying the splendor of Shoshone Falls. Find more details about the area on the City of Twin Falls website. Shoshone Falls is one of the most stunning natural beauties along the Snake River. At 212 feet, the falls are higher than Niagara Falls. The best time to view the falls is in the spring when water flows are high. During dry years, irrigation changes of Snake River flows can greatly reduce water over the falls in the summer and fall.